I have just finished pulling together my latest lecture. It’s called City Light after my book of the same name. Lots of hints and tips throughout and explaining how I pull my pictures together. Its a print lecture, as usual. Ilford Photo generously donated the Ilford Multigrade FB Glossy 20 x 16 inch paper for me to make the darkroom prints on. It’s very expensive to do print lectures now and this sort of help makes the difference between preparing a new lecture or not. 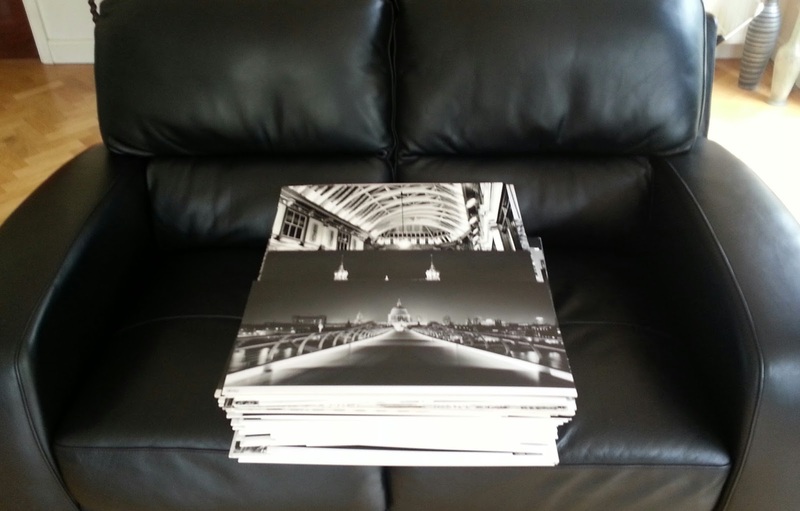 I also included a few 24 x 20 inch prints for good measure. The first half is all cities from my City Light book. It’s based on my lecture on how to photograph cities that I presented at PhotoLive in London last year with quite a lot of new prints added in. The second half is in 2 parts, the 205 mile Alpine Pass Route in Switzerland that we hiked last year followed by New Zealand and a few Far East city views including Sydney and Hong Kong. I made the last 5 prints yesterday and mounted, spotted and trimmed everything. This morning I finished the running order. There are 45 prints in each half, 90 in total. This is the most I have ever included in a 1.5 hour lecture. In all I used just under 300 sheets of paper, including spares, and around 18 days printing in the darkroom. It’s a nice feeling when a new lecture is finished and is ready to go! All set now for the world premiere at the North Cheshire Photographic Society in Poynton on 30th September 2014! For information, I give lectures across the UK to all sorts of clubs, so if your club would like me to visit and give one of my lectures please contact me through my website. I’m also listed in the PAGB (Photographic Alliance of Great Britain) Handbook under lecturers for LCPU and NEMPF but I will travel anywhere as long as you pay me!